Our course is not approved in New Mexico. New Mexico requires live training. You may still take the course which may make you eligible for Liquor Liability Insurance discounts. 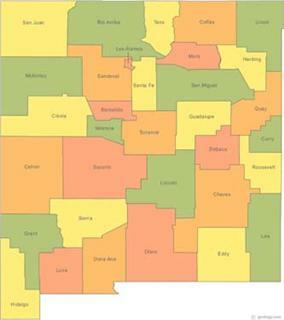 What is the minimum age to sell/serve alcohol in New Mexico? The agency that handles New Mexico liquor licensing and/or bartender licensing rules and regulations in New Mexico is The New Mexico Alcohol and Gaming Division. The contact information for The New Mexico Alcohol and Gaming Division is listed below. You can contact them to verify that online server certification (bartender license) can be obtained in New Mexico. We have also listed that information where applicable. NM Happy Hour Laws: Happy Hour Laws reference the prohibited practices that result in excessive consumption of alcoholic beverages by consumers. You may NOT: Serve or sell two or more drinks at a price less than the number of containers actually sold - "two for the price of one." Sell an undetermined quantity of alcohol for a fixed price- "all you can drink." Sell alcoholic beverages at a reduced price to consumers paying a fixed "buy-in" price. Sell or serve more than two drinks to a single customer at a time. Impose an entry fee or cover charge due to reduced drink prices. Yes. Nothing in the statutes or regulations prohibit the issuance of a Server Certification to a convicted felon. A convicted felony cannot own a license.